We all know Dad loves to tinker and play with projects! They like to automate their lifestyle to really make the home and experience convenient. Dad’s love to make day to day living smarter instead of harder. While some techy set-ups don’t have the same value as others, Alarm Relay has tested many devices and put together a list of gadgets that are MUST HAVES for Dad. Here are a few gadgets we think Dad will LOVE! Ring video doorbell – this device is not only one of the most popular in 2018, but Ring created an extremely functional and useful product! This camera connects directly to your smart phone by notifying homeowners when someone is at the door and giving you live video and audio of whatever is going on at the door; and you can talk back! Dad sure is going to love when packages arrive, to door-knockers and even knowing when family or visitors are coming/going. All without ever having to leave the Man Cave when the ballgame is on. Amazon Alexa– This girl does it all! From playing your favorite playlist, to giving you the score of the sports game, to weather updates, Alexa can tell you just about anything. Alexa can also integrate with other smart home devices so you can tell her to “turn on the t.v.” or “turn on the porch light”! Hands free speech commands can give Dad the freedom to move seamlessly through the house, communicating with his very own Personal Assistant. notify you of a Fire. It will also notify Dad if someone is burning the bacon! 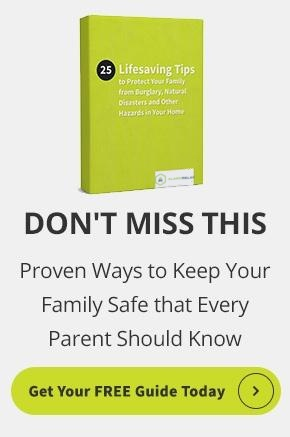 This smart system can help you protect your family from dangers that can escalate faster than anyone can think. LIFX Mini WiFi Smart Bulb – This fun and fancy little bulb is a great Father’s Day gift! This is one of the Best color-changing smart bulbs. The LIFX Mini puts out plenty of light, and offers all of the colors, features, and integrations that you get with standard-size LIFX bulbs at a lower cost. Dad can Queue his party mood or simply remotely control interior and exterior lights from anywhere. All of the mentioned products have Alarm Relays seal of approval, and not just for how great they are to use. We factor in more than functionality and popularity, we also factor in reliability and security. Alarm Relay has personally used and tested these products; letting our community know whats the best and what the experts think. We hope this makes Dad’s life a little easier and safer. We certainly know he will LOVE any of these gadgets.